This is .40 S&W Remington UMC Target Megapack 180gr. MC (Full Metal Case) Ammo. The Megapack is a 250 round package from the manufacturer. It is nickel plated brass cased, boxer primed and non-corrosive. It is great plinking ammo. 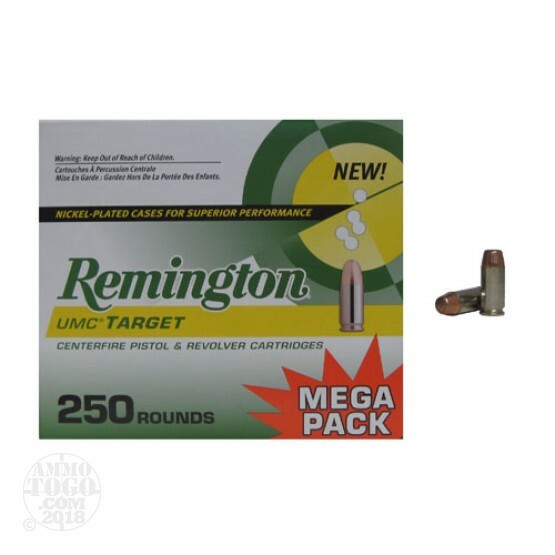 This ammo comes packed in 250rd. boxes, 4 boxes per case.